CoachingOurselves programs are delivered by our partners around the world. A versatile and flexible tool, our partners use CoachingOurselves for many types of learning and performance interventions. Join our growing network of partners and begin using our high-quality library of 90-minute peer-coaching modules in your solutions. We offer certification training, marketing and sales support, an attractive package to get you started, and access to a global network of partners operating in 8 languages around the world. 4Forward provides leadership and management development services and products for private- and public-sector clients across North America. Allegrow is a Copenhagen-based consulting company which helps people and organisations to develop, grow and achieve their goals. We specialize in leadership and organisational development, and change. We work together with you, co-creating an optimal process to bring about the change you are pursuing. We believe that good solutions are found by engaging people in exploring the challenges, and finding meaningful and relevant responses to them together. Contact us to explore how CoachingOurselves can strengthen your leadership and organisational development processes, in a highly productive and cost effective way. Our mission: Assisting organizational leaders in selecting, developing and managing their people, contributing to a healthy work environment that drives individual engagement and collective performance. Assentire is a Talent & Leadership Partner supporting Research, Selection & Development for the Legal Services Sector and beyond. We have a background in international business & research, always adopting an evidence-based holistic approach capturing both personal & professional development opportunities. We believe, by increasing self-awareness through reflective practice, we build resilience for workplace challenges. Through effective stress management & behavioural change we help you enhance your everyday performance & that of your organisation. We specialise in Management Skills enhancing Resilience & Productivity, by Embedding Reflective Practice for Learning & Performance. Knowing What to do, and Why what we do, works. 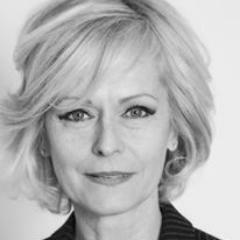 A Certified Performance Technologist with more than fifteen years’ experience in leadership and organization development, Jocelyne Ouellette founded AGP in 2013 to help individuals, teams, and organizations reach their objectives through high-leverage solutions. Her Master’s degree in human systems intervention enhances her ability to take a systemic approach that focuses not only the people involved, but also on the context in which they are asked to perform. AGP proudly includes CoachingOurselves in its service offerings for two key reasons: the professional development it fosters, and the sense of community it builds across organizational boundaries. Change Management Associates International, Inc.(CMAI) was founded in 1999 in Fairfax, Virginia, as a management consulting and executive coaching firm with both international and domestic practice interests. Organizational development consulting is focused on helping its clients to perceive, understand, and respond to opportunities created by changes in their internal or external environments. Its approach is collaborative and facilitative – directed to enabling individual managers and groups to work effectively toward the achievement of corporate goals. We offer our clients a personal, organization-specific, results-driven approach to the development and implementation of a strategic internal change program to support individual and organization-wide changes. 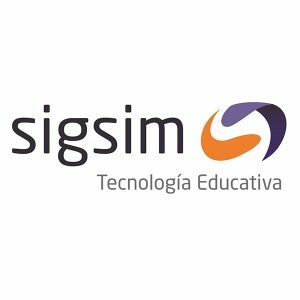 We are a Mexican consulting firm with over 15 years of experience in the domestic and Latin American market, dedicated to assessing, training and developing human talent in organizations. We design competencies models for improved Talent Management inside the companies. We get involved with our clients, creating a partner relationship, providing the lasting solutions worldwide, in order to reach and exceed their expectations, looking for effectiveness in people and results. We have a highly experienced team and our strategic alliances place us at the forefront of Organizational Development Processes. Connexité: It is our strong belief that successful organisations are committed to increasing the capacity of discovering new insights, adopting new ways of management and boost the level of engagement. We call it Development Impulse. Connexité specializes in organisational development, facilitation, team coaching and change management. In addition, we focus primarily on connecting and mobilizing individuals within organisation and at team levels. Conscious Choice Personal & Professional Development is focused on enabling learning and growth for individuals and organizations. They are passionate about leadership development, increasing self-awareness, and finding purpose in work and life. Koreen Mak, the owner, has years of experience working in the Learning & Development field and holds a Masters in Leadership Degree. Conscious Choice is located in Saskatoon, Saskatchewan but serves a greater market through their unique online learning opportunities. Creelman Research provides writing, research, analysis, and commentary on human capital management. Offer insightful commentary on HR issues including white papers, webinars, and podcasts. Over the next decade Creelman Research hopes to jump start the reporting of useful information on human capital intangibles to the Board and financial markets. See the widespread adoption of the CoachingOurselves approach to management. This work is done in collaboration with Dr. Henry Mintzberg. At dbcom since 2002, our mission is to train organizations to progress and benefit from human and financial gains through trusting relationships and valuable exchanges. We help them to learn, evolve and adapt to the market and the customers. An engaged and curious learning and development explorer partnering with individuals to help them lead profound changes in businesses, organizations and in their own self. Diane Boulet is an organizational development consultant and a professional coach with a passion and focus on raising her clients’ awareness, helping them develop more authentic and collaborative relationships so that they may realize their goals and mission. 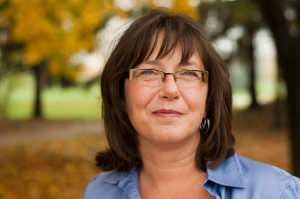 She has dedicated her professional life to fostering collaborative practices and organizational empathy. Twenty-five years of mindfulness practice inform every aspect of her life and has heightened her awareness of the interconnectedness between people and organizational systems and their interdependence. Presence is at the heart of her work. Dynamic International is a regional Human Development Company; helping organizations to take the leap towards achieving and executing its short and long term goals. Focusing on Sales Process, Business Acumen, Leadership, Coaching and People Development is the core of Dynamic International. Eflatun is a Turkish coaching, consulting, and training company offering an array of services to improve the psycho-social dynamics of organisations. With a Ph.D. in Organisational Behaviour and extensive experience in Executive Development and Management Consultancy, Huseyin Cirpan founded Eflatun in 2003. Equipped with their motto,“from universal principles to customized solutions for clients’ specific needs” Eflatun has served both private companies – large and small – and public institutions. For over a decade, they have been successfully providing management consultancy, management development programs, and executive coaching to enable organisations to actualize their potential. Jill Malleck is an expert in organizational and personal development, and she has decided to serve the world by helping leaders and teams accelerate positive change. Epiphany at Work is Jill’s boutique consulting firm, where she and a select-few colleagues leverage their deep experience to provide customized interventions to grow human capacity. Jill brings more than 20 years in Human Resources (emphasis on Learning & Development and OD Consulting) to assist clients across diverse sectors and industries. Jill has an M.A. in Leadership, a communications degree and world-class NTL training which complements her natural creativity and intuition. As a Certified Master Integral Coach, Jill uses a powerful method for sustainable change. Wherever you are in your business’s life cycle, each stage requires change agility, creativity and innovation. We’re in the business of helping make change easy - navigating the turbulence of organizational change for sustainable success. At eZ-Change, we are passionate about making change work: we help our clients embrace transformation, envision a breakthrough future, enhance change resilience and mobilize people’s hearts and minds to get there. 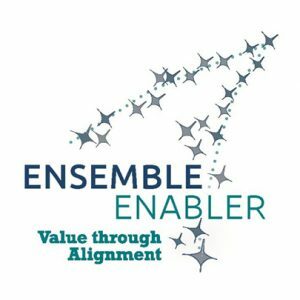 Ensemble Enabler is a leadership consulting firm, enabling organizations to create enduring value through the alignment of people and resources. Our suite of services bring together cutting edge approaches to solve both management and leadership issues in an effective, timely and sustainable manner. This broad spectrum of services advocates organizational learning and participation by employees throughout a company. Our vision is to transform how companies address key business issues and support leadership development suited for the current digital revolution. Fundação Dom Cabral is a world-class international Brazilian business school that is present throughout Brazil through its four campuses and 25 regional affiliates. 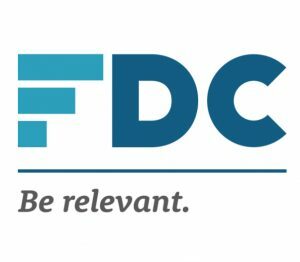 FDC has set itself the mission to contribute to the sustainable development of society by educating, developing and building the skills of executives, entrepreneurs and public managers. Its excellence in Executive Education has been internationally recognized. The Financial Times executive education ranking has ranked FDC as the best business schools in Latin America for the past 11 years. FDC melds academic knowledge to the business experience it has garnered in its 40-year existence. Through its constant dialogue with organizations, FDC remains true to its philosophy of working with organizations while respecting their identity, the peculiarity of their segments and the dynamics of their markets. CoachingOurselves is represented exclusively in Japan by J-Feel. At J.Feel, our mission is to support the creation of a workplace where people are willing to say straight out: “I love my work, I love my office, and I love my company”, in order to contribute to building a better society. We feel that many companies, in the pursuit of short-term profits, have lost something precious. We aspire to break out of current paradigms, to go from: a “motivating” management to a “feeling” management style; the pursuit of individualism to the pursuit of “Communityship”; an emphasis on action to an emphasis on reflection; an emphasis on logic and thinking to a more versatile approach through “the five mindsets”. We strive to strike a balance between maintaining a dynamic workplace and shaping stronger performance through training programs, which include CoachingOurselves and consulting. MarchFifteen is a new, innovative consulting group designed to service the Toronto market. Our consultants possess a rich business background, passion for people and complexity, combined with solid academic credentials and a wealth of real-world experience in a variety of industries. With an in-depth and strategic understanding of the human psyche, we provide our clients with well-grounded, provocative advice, helping them to advance their people and advance their business. Mindspace offers Workplace Wellbeing services, mindfulness training and clinical therapy that empower individuals and organizations. Its unique team of professionals leverage their expertise in coaching, leadership, management consulting and mental health, to improve human connections and foster transformation. Mindspace's Workplace services are based on the belief that performance and well-being go hand-in-hand and that organizations thrive when their individuals have the tools to cultivate presence, clarity, focus, purpose and compassion. One of our greatest strengths is our capacity to quickly distill the needs of our clients and to design and facilitate tailored processes to meet these needs. There is no one-way to do this work; our ability to come to a process with an open mind and neutral position ensures our clients have our full attention in determining how best to reach their desired outcomes. Patwell Consulting provides organizations with Change Management, Organizational Development, Leadership Development and Executive Coaching solutions. They use the Triple Impact Coaching Model to align people with strategic objectives, facilitate lasting change and ultimately, increase organizational performance. Their clients face a wide range of challenges and represent a variety of industry sectors including transportation, technology, pharmaceutical, telecommunication, education, law, retail, SMEs, government, not-for-profit, and NGOs. 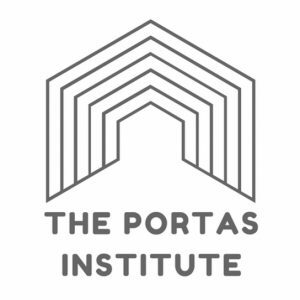 The Portas Institute works with organisations and business schools in Europe to create optimal learning experiences for managers and students. We design and deliver programmes that are relevant to roles and needs utilizing adult learning pedagogies that respect the maturity and self-efficacy of learners in a digital age. We combine the liberating impact of CoachingOurselves with training and coaching in business skills, all of which is based on the best research into performance improvement, skill acquisition and organizational development. ProActive ReSolutions is an internationally recognized leader in helping organizations build respectful workplaces – workplaces in which people treat each other with dignity and civility, feel safe and secure, and cooperate in getting the work done productively and effectively. Our strength lies in our standardized, evidence-based and integrated programs coupled with our passionate experts drawn from a wide range of professions including employee relations, law, forensic psychology, media, restorative justice, social policy, policing and education. We offer a full range of integrated solutions to help prevent conflict, repair relationships that have been harmed by conflict, and protect people whose health and safety are threatened by conflict. Organizations that use our solutions experience increase productivity and profitability while reducing operational costs and risks. Prakhsis is an organizational development consultancy operating across Europe, helping teams of any size become more effective, smarter and more innovative. Our purpose is to help make companies more organic: natural environments where people can be authentic. We are guides, facilitators, co-thinkers. 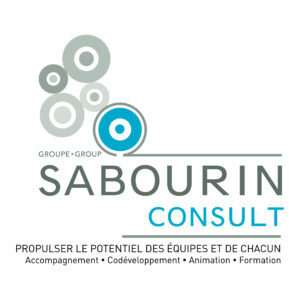 Sabourin Consult Group Inc. partners with clients using various participative team processes as well as small-group action-learning, including CoachingOurselves. for the developement of relevant work skills and teamwork efectiveness amongst their management students. CO is to play a major role in helping our achieve our mission in the upcoming years. There is a rising need amongst Business Schools to refresh their pedagogy in order to make it more pertinent and effective, and we belive CO's unique vision and approach towards management development holds the key to unleash any managers capabilities towards reaching its full potential. Founded in 1980, SPB Organizational Psychology Inc. offers a vast array of effective and innovative solutions designed to help small, medium, and large enterprises achieve their business goals while optimizing their HR management. SPB Organizational Psychology distinguishes itself by the effectiveness of its interventions, its commitment to excellence, and its ability to meet the various organizational needs of its clients. SPB has offices in Greater Montreal (Longueuil and Laval), as well as in Quebec City, Toronto, and Calgary, and serves clients in Europe and in Mexico. Strategys Group is an Organizational Development and HR Consulting firm that provides effective solutions for a wide range of commercial and non-profit organizations. Our mission is to help build intelligent organizations through talented, engaged and inspired human resources. Threshold Associates facilitate transformational change through stakeholder engagement, and organization and leadership development. We work with business, community, and public service leaders to develop their capacity to bridge differences and work effectively across sectors. We address what we have come to call "messy opportunities" -social problems or business opportunities that defy ordinary conflict resolution strategies or technical fixes; issues that go beyond multi-stakeholder input and into the realm of multi-stakeholder collaboration. Organizational frameworks for employee development as a part of work, not apart from it. Training Bridge, your access to success! We are in the Corporate University business, supported by an extensive network of Global Spread of Consultants and Training and Consulting Providers, and we aim to be your trusted enabler to inspire you and your company to achieve greater heights! Verity is a leading Canadian human resources consulting firm focused on the people side of business. In operation for over 30 years, we specialize in four practice areas – Career Management & Transition; Executive Career Services; Coaching Practice; and Talent Management. As a member of VF Career Management, Verity operates in all major cities across Canada and in over 40 countries internationally as a BPI group Global Partner. Incorporated in 1984, Verity is a privately held Canadian company.